Across the planet, shorebirds are in serious trouble. In the past 50 years their well-documented North American populations are estimated to have plummeted by at least 70 percent on average, and shorebirds elsewhere are hardly doing better, if not worse. Reasons are many—the shorelines and mudflats where the birds feed are polluted or disappearing, and many of the migrants among them struggle to find food and resting places in areas where they used to. Some are also targeted by hunters. For a species to survive in the face of such an onslaught, a large number of healthy baby birds need to enter the population each year. 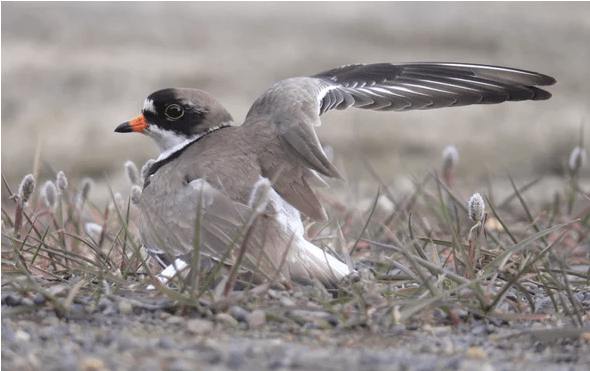 Biologists have long believed this is one of the reasons many birds migrate north to breed; the challenging Arctic climate should keep them from being bothered by nest predators as frequently as birds in the tropics. The results of a large analysis featuring data on 38,191 nests in 237 shorebird populations around the world that ornithologists have monitored during breeding seasons by looking for signs of predation such as broken egg shells, published last week in Science, are pretty clear: In the 1970s, ‘80s and early ‘90s tropical shorebird nests were indeed suffering the most predation—but since then, as nests around the world have been losing more eggs to predators, the ones in the Arctic have been especially hard-hit. The tropics did see a statistically insignificant increase, but the numbers in the Arctic are staggering: Just a few decades ago only one Arctic egg in three would be lost to predators. Today two out of three are eaten. The researchers believe climate change is a major culprit. “Our analysis shows that the faster the annual mean temperature has increased, the higher the predation on eggs has become. This entry was posted in Global Warming, Wildfires and tagged climate change, shorebirds, wildlife. Bookmark the permalink.